More and more projects are issuing tokens via the Stellar network to raise funds, but Stellar was never really designed to be an application platform like Ethereum. While Ethereum has sought to open up new horizons for all kinds blockchain applications, Stellar doubled down on the most tried, true, and proven use case of blockchains: transfers of value. This approach is paying off. The relative stability and transparency of the Stellar network has attracted many major, established names. This is what crypto going mainstream looks like. IBM’s blockchain division has settled on using the Stellar Lumens (XLM) as a unit of account for their payments infrastructure. IBM has already partnered with dozens of private and central banks, especially in the Asia-Pacific region. Jesse Lund, head of Blockchain Solutions at IBM, claims that they are “very, very close” to helping a central bank to move a fiat currency to the Stellar blockchain. There is a fair chance that the IBM/Stellar partnership could replace the decrepit SWIFT/IBAN payments infrastructure as a global standard. If this happens, the effect on XLM price would be big, to say the least. Of course, as time goes on, other assets besides XLM will exist on the Stellar network, which could mitigate long-term growth in the value of XLM. Nonetheless, the more effective tools available for utilizing the network, the more users will gravitate to it—and IBM looks to be developing some of the best tools in the industry. Veridium is partnering with IBM and Stellar to tokenize the global carbon credits market. 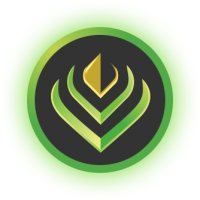 The startup is working on integrating their native token, VERDE, with oil and gas trading platforms in order to automate the process of offsetting carbon emissions. This means when a company or individual makes purchases, they can at the same time purchase a corresponding amount of carbon credits to offset their activities. For corporations and institutions, this could streamline the private certification of carbon neutrality. It could also make regulatory compliance in jurisdictions that require standards of environmental accountability much easier. For ecologically minded individuals, Veridium plans on integrating the same concept into a debit card. StellarX is on the road to becoming the first peer-to-peer decentralized exchange on the Stellar network. 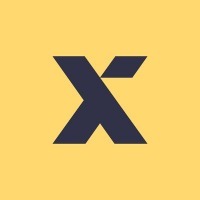 The StellarX team is putting a lot of emphasis on making the exchange user friendly, which is a major weakness among most of the DEXs out there. 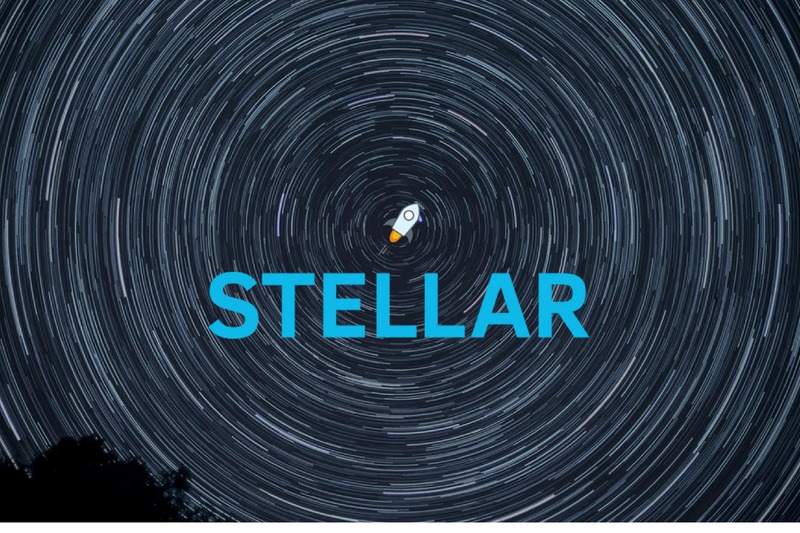 Being able to leverage Stellar’s anchor network could give StellarX an edge against other DEXs as well, since fiat ramps are another major challenge to the DEX model. For a while, Stellar’s anchor system was just a theory. Now, however, Stronghold is helping to change that by becoming Stellar’s first USD anchor. Stronghold accepts deposits in the form of USD, and can issue tokens of any kind on the Stellar network, including Bitcoin, Ethereum, and USD. Stronghold is partnering with PrimeTrust to secure the funds, which ensures transparency and accountability when it comes to managing fiat deposits. This is big news for potential mass adoption, because it acts as a counterbalance to the volatility that stands in the way of a number of cryptocurrency use cases. Stronghold has the potential to fill some of the same needs as Tether, but hopefully with a bit less controversy. 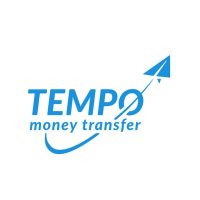 Tempo, a European money transfer company, recently successfully transitioned to the Stellar network. This means that anyone who owns XLM can send money throughout the Tempo network directly from a Stellar wallet. Currently the service is being tested in the Philippines, one of the biggest remittance markets in the world. When funds are sent to a recipient, they receive a notification, and can then choose to either pick up the funds at a location or have the money delivered to their door in the local currency. Tempo’s partnership with Stellar may mean that Stellar is now the cryptocurrency with the largest real-world network. Tempo has 300 locations across Europe where lumens are now for sale, and users of the Tempo app can also purchase lumens directly on their phone. The Tempo network is currently active in 120 countries with 195,000 affiliates. With people’s attention spans getting steadily shorter, having to sign up for individual websites to view content is a hassle that many are not willing to deal with. Besides, sometimes you just want to read one article on a website, without signing up for a subscription. SatoshiPay started out as a micropayments platform for web content on the Bitcoin network, then migrated to IOTA, before finally settling down on the Stellar network. On websites that integrate the SatoshiPay widget, visitors can pay as little as a few cents to view or download content. The widget doesn’t even require users to install a plugin or wallet, and the balance follows users from website to website. This opens up all kinds of new business and monetization models for content providers. Micropayments is another hot market, and SatoshiPay is definitely one of its leaders. This is just one more avenue that could contribute to Stellar mass adoption. One of the finalists in the Stellar Build Challenge, a contest organized by the Stellar Foundation, Open Garden allows you to turn your phone into a wifi hotspot and get paid in lumens for exactly the amount of data used. This might not sound all that useful in somewhere like the US or Europe, but remember that Stellar’s target market has always been areas with less cash where lots of people can’t afford a monthly data plan, and for whom even the minimum amount for a prepaid data package is too expensive. The beta is available in the Google Play store. TillBilly is working on building a comprehensive smart point-of-sale payments system based on the Stellar network. This would be much cheaper than present digital payment methods like credit or debit cards and Apple pay, and it would also automatically calculate loyalty points. You’ve probably been annoyed by paper receipts that pile up while shopping. Tillbilly also integrates a digital receipt system which could solve this problem. The real estate market is seeing steady growth, which is not surprising considering the number of people in the world keeps increasing and the amount of land doesn’t. More and more people are coming into wealth by means of their support for the nascent crypto economy, and at some point people realize it’s not a bad idea to diversify their holdings. People are also going international to avoid taxes on their crypto profits, so traditional, local real estate investment is not as practical as it may once have been. At the same time, it’s a scary prospect to buy real estate in a new country, with complex laws and regulations requiring extensive research or expensive legal fees. Slice is tokenizing real estate projects in the US that were previously accessible only to institutional investors. Tokenization comes, of course, with liquidity, which generates a ton of new value. There is a lot of competition in this area, but there is also plenty of room for this kind of service. Slice looks as well positioned as any of its competitors to succeed in this market. Sure Remit is an established remittance company that many African workers abroad use to send money home. It has now joined the Stellar network, bringing 300 locations across Kenya, Rwanda, and Nigeria with it. Nigeria is the biggest remittance market in Africa, with an estimated US$20 billion sent home each year by Nigerians working abroad. African markets are also among the fastest growing in the world. 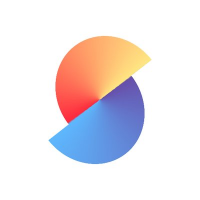 Sure Remit’s tokens can also be used for paying utility bills or shopping online with Jumia, one of SureRemit’s partners and the biggest African ecommerce website. As part of the quest to tokenize everything, Smartlands is setting out to select high quality agricultural land and tokenize it on the Stellar network. This is an important step for the stability of the crypto economy. As cryptocurrency continues to grow, it is only a matter of time before increasingly visible distortions appear in the fiat economy. At some point, fiat “stablecoins” are likely to become, well, not so stable anymore. For these turbulent times, Smartlands is preparing a selection of tokenized agricultural lands in jurisdictions chosen for optimal stability. This shows a lot of foresight and will most definitely be in high demand as time goes on. Forget about lowering fees—Chynge wants to make remittances free. The startup already has sandbox licenses in Brunei, the UK, Hong Kong, Singapore, and the UAE (Dubai), and is testing out their remittance platform. They are leveraging AI and machine learning to monitor risk profiles of clients and prevent the network from being used for illegal purposes, which may help get them in the good graces of regulators worldwide. All of the good news surrounding Stellar has contributed to the excellent price performance of XLM in the recent crypto rally, where XLM surged 40%, surpassing Litecoin to take 6th place in terms of overall market cap for cryptocurrencies. Looking at the announcements of the projects joining Stellar, it seems as if Stellar might have stumbled on a scaling solution before Bitcoin and Ethereum even started bumping against scaling limitations—that is, specialization. The selection of projects on Stellar is not nearly as exotic as that of Ethereum, but that’s okay. Stellar was never trying to be a “world computer” like Ethereum—it was meant from the outset to be a specialized solution for payments. Trading off some capabilities for applications on the network also has advantages. Relatively simple programming for projects on Stellar also means that there are fewer attack vectors, and thus less time needed for security audits. This means that applications built on the Stellar network can be deployed more quickly to market, and this momentum is apparent in the headlines. If even of half of the projects on this list achieve half of their stated goals, (which is not at all unreasonable to expect), it is likely to send Stellar, true to its logo, rocketing into the stratosphere. Ternio isn’t listed? It is the most promising of them all. Where is Ternio in the list? Good list but is incomplete!! Nice overview on some actual crypto projects, unfortunately you forgot to mention about the one real good project which is partnering with its Blockcard with big players like VISA and MC to make crypto payements possible anytime and immediately! The one project which has the proven fastest blockchain with over 1.2 Million TPS per second – SEC approved and verified by a third party… Look for Daniel Gouldman and his videos to the community – you will understand. Some interesting projects here, there is no Ternio. The IBM blockchai n solution is merely IBMs hopeful answer to Ternios actually having a working product based on their open source hyperledger platform. Ternio has a working product which has been audited and verified by an outside third party at 1.2mil tps, scalable to 10 x that. Additionally, with an upcoming, physical blockcard backed by visa/MasterCard and will be able to used anywhere they are accepted will be a game changer, yet again, by Ternio. Lol, I agree with these other commentators, Ternio is by far the best project on the Stellar platform. Why would you not have it here? Is there a personal reason you chose not to include it? We are building what we believe is the first asset-backed, redeemable, Stellar stable token and a network which will enable swift, economical, scalable transactions of any amount – big or small.